Beginning language studies not only enrich multicultural learning, but also have a positive impact on reading fluency and comprehension. 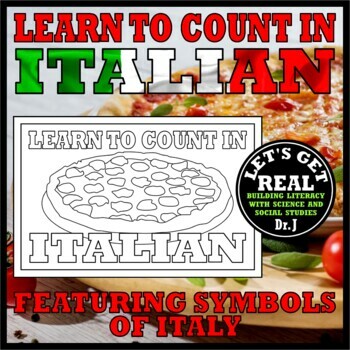 Learn to Count in Italian is a great way to introduce the official language of Italy. 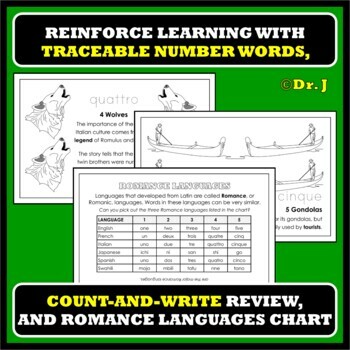 Each book in the Learn to Count language series includes a phonetic pronunciations, traceable number words, and cultural symbols of the featured country. Sample Pages: Please see the preview for sample pages from the book. 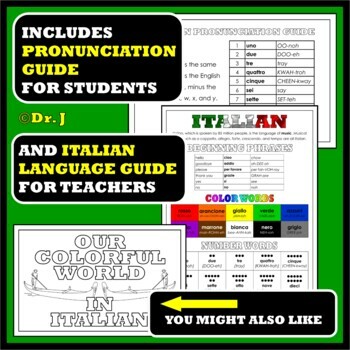 Technical Info: The book and Teacher’s Language Guide are in PDF format, combined into a single zip file, and, illustrated with original, high-resolution images. 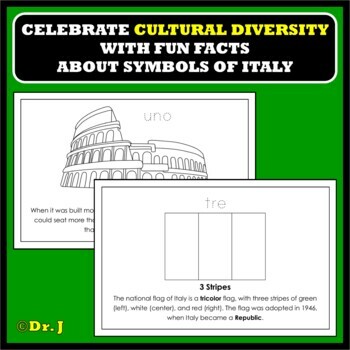 Bundle and Save: The book is also available—at a savings of 25%—in the Exploring the Culture of Italy Bundle, which also includes an introductory book about Italy, a mini-coloring book of Italian color names, three cross-curricular activities, and three colorful posters.